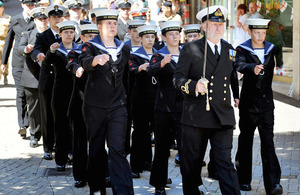 People in Yeovil turned out in their thousands to show their support for sailors and Royal Marines from HMS Heron as they marched through the town last week. The servicemen and women of HMS Heron - better known as Royal Naval Air Station (RNAS) Yeovilton - exercised their Freedom of the Borough of Yeovil to mark the 70th anniversary of the commissioning of the air station. The Freedom of the Borough of Yeovil was granted to the air station in 1962. With this great honour comes the right to parade ‘with bands playing, colours flying and bayonets fixed’. The Freedom of the Borough is an ancient privilege which dates from the time when standing armies, abroad the countryside, were often feared by townsfolk. To be given the right to enter a town and parade in this way was considered a sign of great trust. The last time Yeovil saw a parade of this magnitude was in 2007 to mark the 45th anniversary of the granting of the Freedom of Yeovil. The 18th of June doesn’t just mark the air station’s birthday, it also marks 70 years of a very strong relationship with the community. Right from the very start in 1940, when the first personnel arrived and were billeted with the local vicar, HMS Heron has enjoyed fantastic support from the people of Yeovil and surrounding areas, who have not only put up with their noisy neighbour but have welcomed, helped us and worked with us, either on the airfield or in the local industries that support what we do. The Guard was inspected by the Mayor, Councillor Philip Chandler, and the Commanding Officer of RNAS Yeovilton, Brigadier Mark Noble, Royal Marines. 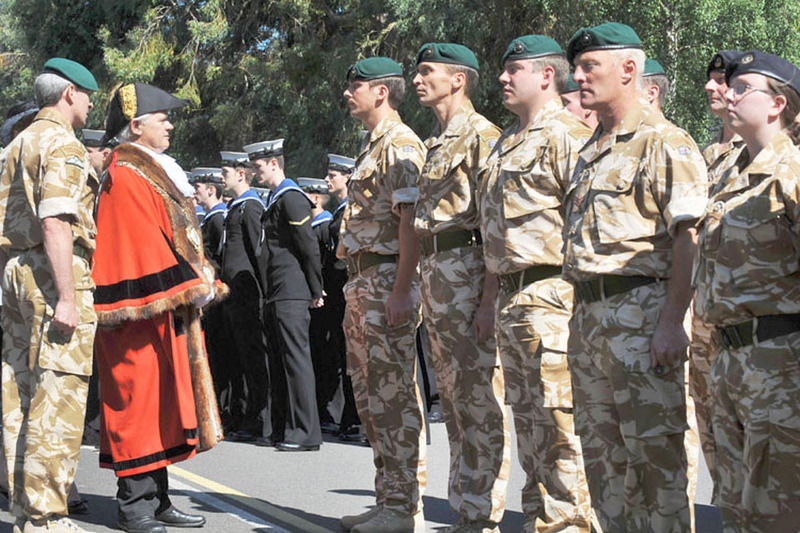 After a short service led by Reverend Howard Davenport and a flypast of aircraft from the air station, the parade, led by Brigadier Noble, began the march through the town with the Band of Her Majesty’s Royal Marines from the Commando Training Centre Royal Marines. The air station has played host to many squadrons and aircraft types over the decades and to the men and women that fly, service, repair and support them. It is now the size of a thriving small town in its own right, with some 4,400 uniformed and civilian staff working together, but it has always been a key part of the local community. I am very proud of the close bonds we have formed with the people of Yeovil over the years. Many of my people have made their homes in Yeovil and the local area. Wherever they are in the world, the men and women of RNAS Yeovilton are proud to have local support and an event like the Freedom Parade gives us the opportunity to show our thanks. On completion of the parade a reception was held at the Westland Sports and Social Club where a birthday cake was cut by the Mayoress of Yeovil, Ms Linda Jones, and Air Engineering Technician David Huggett.